ONE week in early June, coinciding with a blast of cold weather and a weekday evening State of Origin match, Domino's hit a milestone. For the first time in a single week, two million pizzas and other dishes were ordered from the Australian-owned company. 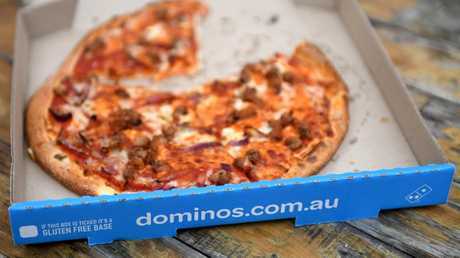 Almost one in three pizzas ordered in Australia are now delivered by Domino's. But the success of the pizza chain seems to have very little to do with actual pizzas. And everything to do with technology. 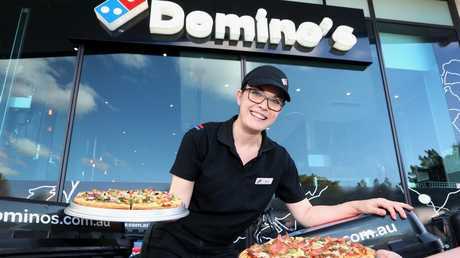 Domino's Enterprises released its annual results on Tuesday which showed it made a record net profit after tax of $136.2 million, a 15 per cent jump on last year. Chief executive Don Meij told reporters his aim is to be "the leader in the internet of food". And it has plans to rake in even more cash from hungry Australian consumers through two numbers: 3 and 10. Hit those, it reckons, and Pizza Hut's crust really will be stuffed. 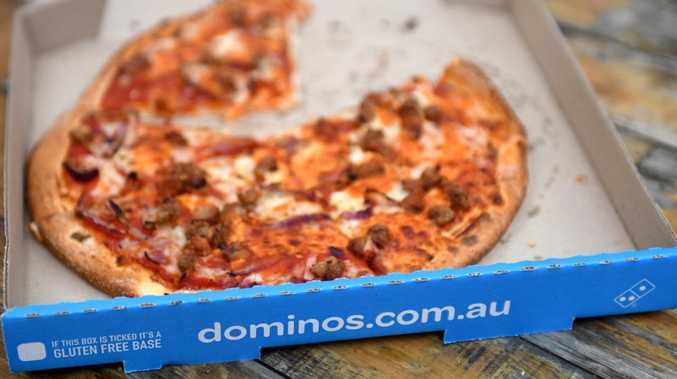 An industry analyst has told news.com.au Domino's was "kicking goals" but "the trends are working against them" with people seeking healthier food and better pizzas. On Tuesday, Mr Meij told reporters the hike in profits meant "this has been one of the best years". 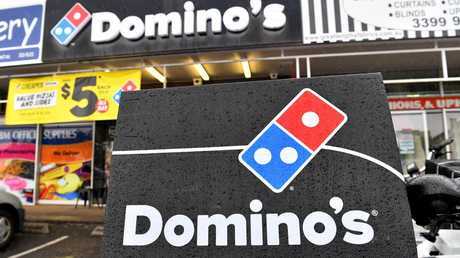 The company owns the Domino's master franchise in Australia, New Zealand, Japan and much of western Europe. "Less than four years ago we surpassed $1 billion in sales. This year's sales reached $2.59 billion - this continues be fast growth business." That's not to say there weren't some burnt bits on Domino's financial base. Its share price plunged because investors had expected even bigger profits. 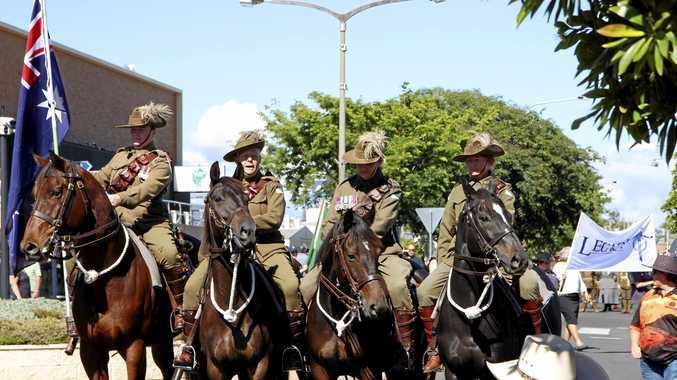 Mr Meij said the "abnormally hot" summer in Europe had dampened demand for hot food, while in Australia the staging of the second State of Origin match on a Sunday rather than a Wednesday had been bad for business. This was because people had time to head to the shops on the weekend to buy food rather than just order a pizza which was the case during weekday matches. Unexpected heat and badly scheduled footy matches aside, retail watchers have said the result shows Domino's march to melted cheese mastery is on track. Andrew Ledovskikh, an analyst with market researchers IBIS World, said Domino's had 30 per cent of the pizza delivery market, with Pizza Hut on around 7 per cent and much of the rest divided up by independents. 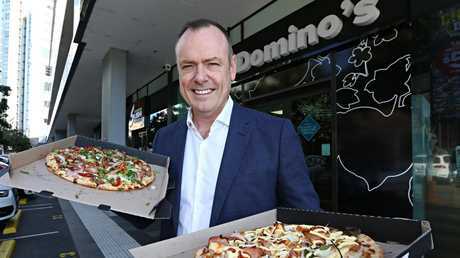 "Domino's dominates in price and convenience and that's where they are kicking goals," he said. "It's a multifaceted strategy to be a very fast-moving company with a technological innovation making it easier for customers to order, faster for them to get their food and allowing them to have more control over what they order." One of these innovations is Project 3-10. Customers want their food faster and hotter, Mr Meij said, ideally within 10 minutes, but potentially even faster. The eventual aim is to have a pizza made within three minutes of receiving an order and at the customer's doorstep in 10 minutes. "Project 3-10 is a major focus area and we are currently around 17 minutes from order to delivery." He said the fastest store in Australia was located in New Farm in inner city Brisbane, where pizzas were now generally delivered to homes within 10 minutes of ordering. But they still have some way to go to beat the world record set by a Domino's store in Holland which saw a pizza ordered and delivered in three minutes and 33 seconds. If the 10 minute milestone is met, that would make Domino's delivery time swifter than Uber Eats or Menulog. Mr Meij said Domino's new "pizza checker" was like a "co-pilot that assists staff to make better pizzas". Some might say it's more like Big Brother. The pizza checker takes a photo above the pizza cutting board in stores and uses artificial intelligence to assess whether it's up to scratch. The results are sent to the store manager, and a photo of a pizza can also be sent to the customer, along with a notification if their pizza has failed the quality test and needs to be remade. With more than 800 stores, Domino's has pretty much most suburbs covered - so why the need to open 400 more, which is its plan? To get pizzas to people quicker. The company wants 80 per cent of new stores to be opened via "splitting" the delivery territory of an existing store. That means the order will be sent to a store that's even closer to the delivery address and pizzas arrive hotter. Also, drivers can deliver more of them. "There's a perception if you're big in online you need less outlets. But the internet of food has different behaviours to the internet of retail; in food, time is the enemy, so you have to get close to the customer to be the best," Mr Meij said. Pizza Hut now has only around 7 per cent of the market. Pizza Hut has been behind the eight ball on technological innovation. And when Domino's rival tried to compete on price, launching $5 pizzas, things went downhill fast when many of its franchisees complained they were losing money. Pizza Hut's smaller store footprint meant it was further away from customers and that increased the risk of a cold pizza, Mr Ledovskikh said. 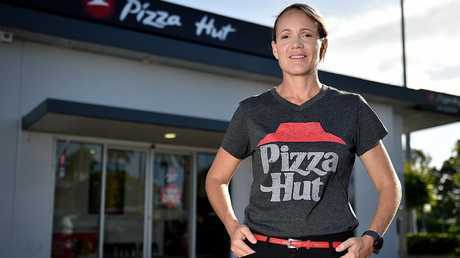 Buying Queensland's Eagle Boys chain had helped Pizza Hut increase its market share, but by less than Domino's which has seen huge store and sales growth even without an acquisition. "They compete on convenience. Pizza Hut doesn't necessarily do that badly, just not as well as Domino's," he said. "Pizza Hut are the lesser of the two operators in the space and that's because Domino's has increased its scale, improved delivery times and is more convenient." Eagle Boys was bought by Pizza Hut, taking a competitor out of the market. Domino's couldn't rest on its laurels though, Mr Ledovskikh said. He pointed to "murmurs" from some franchises angry about the splitting of their territories and the cost of all the fancy new tech, like AI chefs. But there were even bigger threats facing Domino's. "The macro trends are working against them. People are looking for healthier and higher quality food. "Domino's is great at grabbing more and more territory, but the pie is growing slowly or even shrinking. They are competing in a smaller and smaller arena."